Totally waste of money not worth it. JIO PRIME PHONE ₹ 1,500/- with ₹ 153/ plan is not useful and expensive so I want to return the phone. How return this please tell me. Where from to buy Jio MediaCable from your JIO Retail shop because your education on Google search gives no clue fir it’s availability. kya har mahine 159/- ka plan lena compulsion hai ? paytm or other payment wallets bhi download nahi kar sakte kaise use ho data. Phone khone p kya hoga kuch nahi malum Sim bhi jabardasti de rahe h total 1750/ m phone made in China h …ullu banaya.. Mobile ke saath cable kyon nahi diya..Please koi mujhe ye bataye. Once Jio enjoys it’s profit,no more backups for your comments. 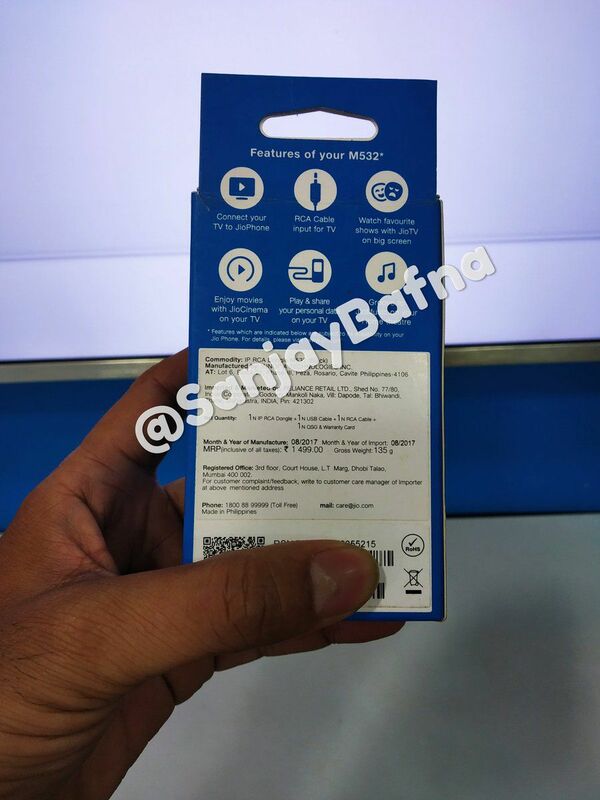 Chutia banana jio ne jab box mein cable likha Hua hai to diya kyon nahin or digital India kya banoege phone bhi China ka assembly hai wahhhh bhai Ambani sahib V gud…. yes your right man…. reliance people really misleading the poor costumes- on the mobile phone opening day the showed different mobile phone now they are selling another mobile with out media cable….mobile screen quality is very worst… we can buy the branded feature phone for the same amount….earlier Reliance communication, reliance power, reliance media..reliance home finance lot of people loose their hardly earned thousand crores of money ……..now Reliance Jio…. can we connect this phone to PC to use mobile data and browse in PC. If any one having idea, please share the process step by step. The phone is looking good. Features also good. Watching via TV option. if you have surplus internet available, it is a very good replacement for dth. Though we have 4G and Wifi is supported, it is not feasible to browse or do anything related to texting or watching. The basic plan 153 is more if somebody is not calling or using the phone often and good for who uses phone for calling often. People may not continue for 3 years due to it. Airtel try to bid with new feature phone which may over take if you dont have flexible plans as your basic plan starts from 153. Try providing TV cables early which can make more users to buy as there is no feasiblity to browse/watch. you can try introducing wireless connectivity with TV which is a best to put the phone on right track in the feature. Thanks for trying to setup internet at every home and made revolution in telecom industry. Its compete wastes of money. This phone may be useful for utter rural places, For town it has no use. How can one surf on such tiny screen that too after pressing so many buttons. It’s ridiculous. If Jio does not provide the cable for connecting to TV this will be treated as cheating,the more they think that they torture their clients by watching everything in that tiny screen the more curse’s Jio will be awarded. SPENDING JIO CABLE AND 309 PLAN FOR 28 DAYS . 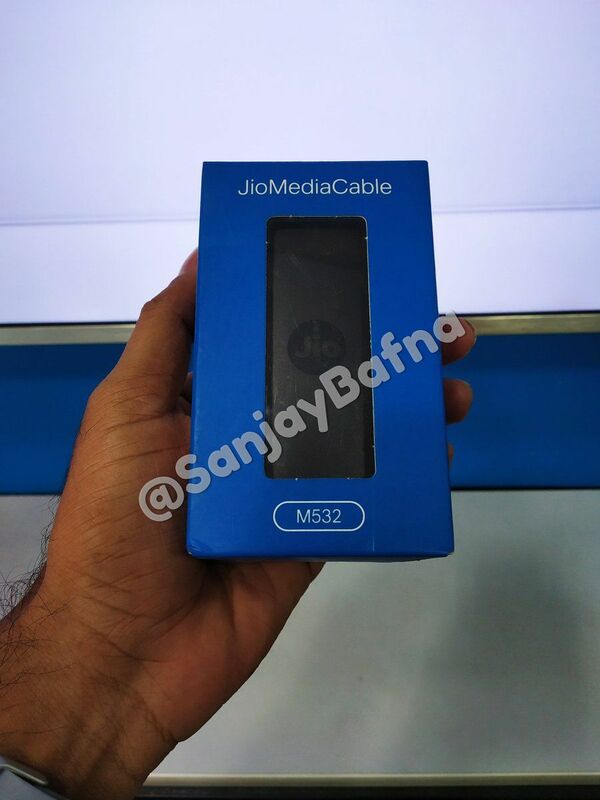 Jio media cable का है इंतजार । Without jio media cable के ₹1500 और ₹153 का data भी बेकार । So I request jio team to provide jio media cable soon .